President David O'Hara sporting the Rocket backpack. It’s no secret that Improving has a geeky side to its culture. We love celebrating this whenever we can with events like game nights or seeing the latest Star Wars and Marvel Movies. 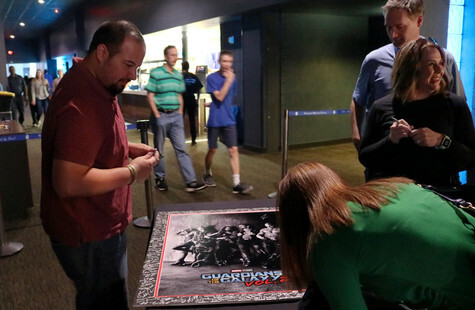 Twice a year, our Improvers in the Dallas area gather to see the newest blockbuster. 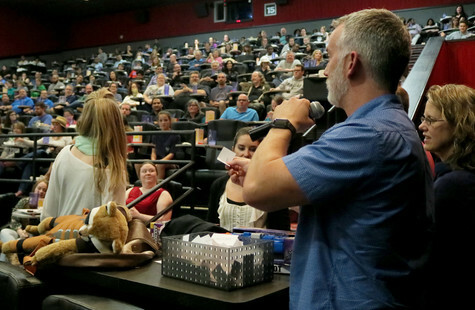 On May 4th, over 500 Improvers and their guests filled up two theaters in Studio Movie Grill to watch Guardians of the Galaxy Vol. 2. Guests were treated to popcorn, a fountain drink and a choice of dessert or an alcoholic drink on us. We also brought a movie poster that will hang on our office walls for all the guests to sign. Our Improvers are experts when it comes to Marvel Movies, and this one did not disappoint. Just like the first installment, Guardians of the Galaxy Vol. 2 was filled with suspense that makes you sit on the edge of your seat and plenty of comic relief. This movie had something for everyone - a little romance, a lot of action and of course, Baby Groot. 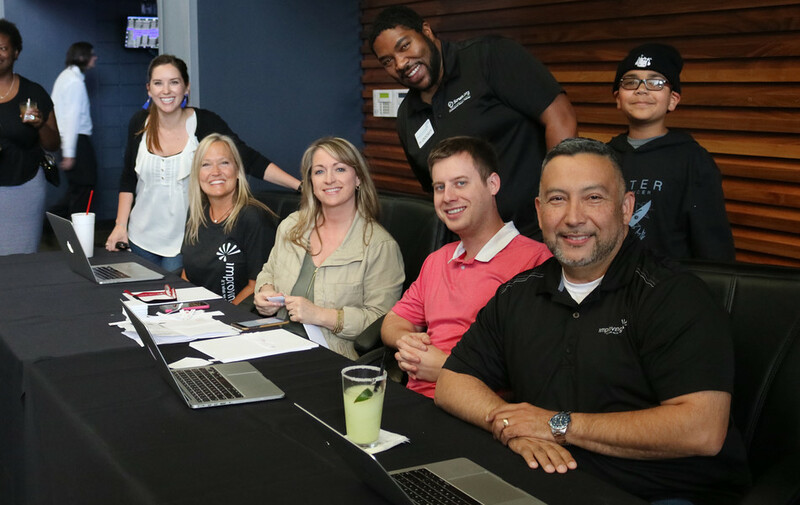 Improving volunteers at Check-In (left to right): Kristin Kacir, Vicki Kelly, Dawn Peters, Ty Crockett, Taylor Brinson and Ric DeAnda; with a special appearance from Ty's son. In typical Improving fashion, we ended the night with a giveaway and a few lucky guests walked away with Guardians of the Galaxy themed gifts. 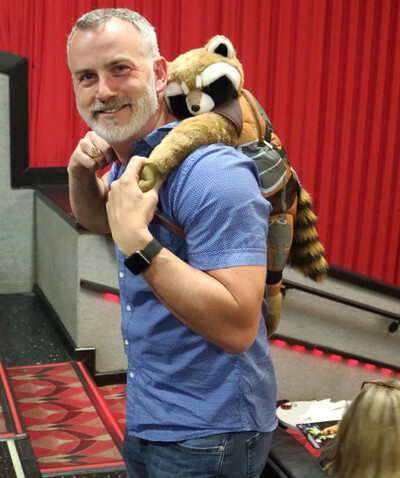 President David O'Hara drew names from a basket to find new homes for Guardians shirts, mugs, Nerf guns, figurines, a Rocket backpack and the crowd favorite, a dancing Baby Groot. 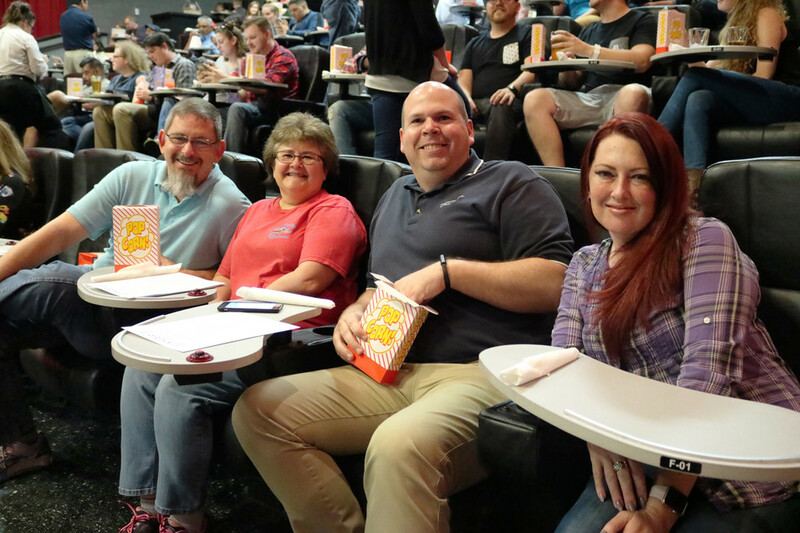 Movie Nights are a long-time tradition for Improving and we don't limit the fun to the Improvers in the Dallas area. This June, our Twin Cities office will be getting a special sneak preview of Wonder Woman. Stay tuned for the next Dallas Improving Movie Night this winter! We know you’re going to love this one.